We are looking for participants! Launching in March 2019, the Cross-Border Programme delivered by the Causeway Rural and Urban Network (CRUN) are looking for 200 participants to take part in their new programme which will be implemented throughout 2019. See below for more details! Contact CRUN if you are interested in taking part: Visit www.crun.org or contact 02870344934. 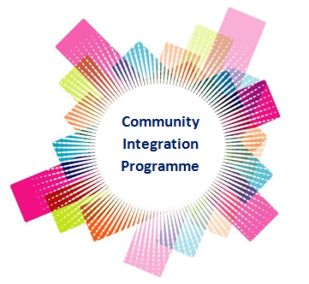 Building Communities Resource Centre (BCRC) in partnership with Corrymeela Community have been delivering the Peace IV Community Integration Project across the Causeway Coast and Glens Borough with vibrant and thought provoking workshops and trainings. 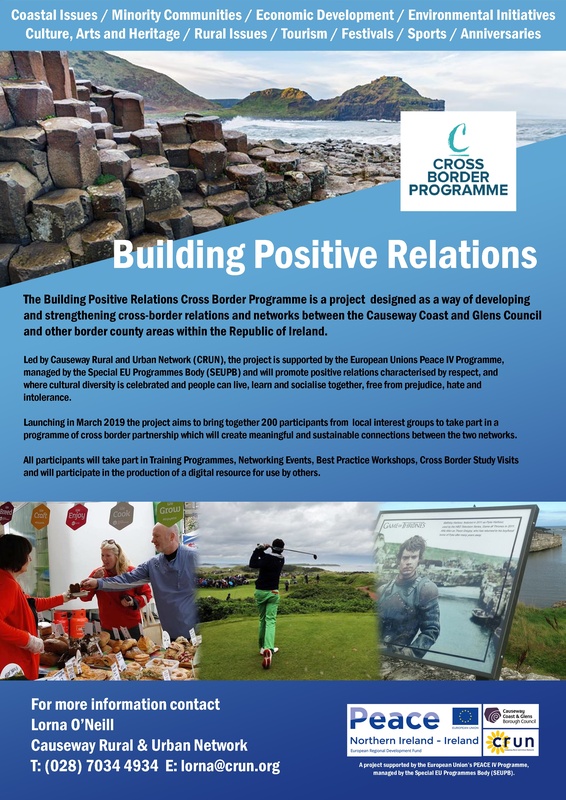 The project is being implemented under Causeway Coast and Glens Borough Council’s £3.8m funding award from the European Union’s PEACE IV Programme, managed by the Special EU Programmes Body. Match-funding for this project has been provided by the Executive Office in Northern Ireland and the Department for Rural and Community Development in Ireland. 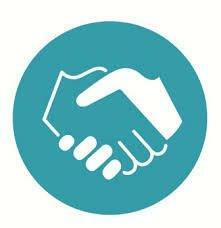 This Interagency event brought together Good Relations and PCSP Staff from Causeway Coast and Glens Borough Council, PSNI, Ulster University, Northern Regional College, Northern Health and Social Care Trust, Citizens Advice Bureau and NI Migrant Forum for an inspirational day with a lot of learning, making connections and sharing ideas. If you would like more information or wish to become involved in the programme please contact Lisa by email lisa@theresourcecentre.org or on 028 2766 5068. The Cultural and Language Institutions programme, managed by the Limavady Community Development Initiative (LCDI) will hold a finale event in the Bann Gallery, Cloonavin, Causeway Coast and Glens Borough Council offices on Tuesday 29th January between 7pm and 9pm. Hosted by the Mayor, Councillor Brenda Chivers, this event will provide the opportunity for the participants groups to showcase what they have learned from taster sessions they have engaged in throughout the programme delivery. These taster sessions included Highland Dancing, Irish Céilí Dancing, Bodhran playing, Tin Whistle lessons, Ulster Scots and Irish Language programmes. Reflecting on the legacy of the programme and its impact on cross-community peace building and reconciliation, Programme Coordinator, Ashleen Schenning noted: ‘As we see the programme near its end, we are hopeful that lasting relationships have been established and the smaller groups will continue working on programmess of common interest. We have already seen a group begin a creative writing course, from which they will produce a document penning their memories of the Peace IV programme. The participants, staff and volunteers on the Peace IV Culture and Language Programme would like to thank our Mayor for the opportunity to showcase the great work done over the last 14 months. If you are interested in attending the finale event, please contact Ashleen Schenning at LCDI on 02877765438 or volunteers@lcdi.co.uk.